This delicate meringue shell with a gooey marshmallow center will intoxicate your taste buds. Pavlovas are a classic Australian dessert—decadent and utterly exquisite! We’ve taken the classic Pavlova and transformed it into a Paleo-friendly version—with coconut sugar, arrowroot starch, and coconut cream. These Paleo pavlovas are crispy on the outside, but thanks to the marshmallow texture of the meringue, they have a soft chewy center. The sweet base is best complemented by seasonal berries and a hint of fresh mint. Attempting a pavlova for the first time can be intimidating and tricky. However, these tips will help you create perfectly crisp meringue shells for stunning pavlovas. Make sure to use egg whites at room temperature; they whip better than cold egg whites. Love Paleo Desserts? Then you’ll love our FREE Paleo Dessert Cookbook. Click here to get it! The best way to beat egg whites is with a stand mixer. You can use a hand mixer, but it will take a long time. And it can be very tiring for your arms. Be sure to thoroughly remove any residual grease from both the bowl and whisk before you add the eggs; this will prevent the egg whites from forming a stiff foam. Before you get started, grind the coconut sugar in a food processor to a very fine dust—which will help dissolve the sugar later on. For the meringue, add the salt to the egg whites in the bowl. Beat for one minute at medium-low speed until foam starts to form. Then add the vinegar, and beat for 5-7 minutes at high speed. The acid in the vinegar will allow the egg whites to air up more and reach maximum volume. Once soft glossy peaks start to form, it’s time to add the sugar-starch mixture one tablespoon at a time. This distribution will help the meringue stiffen up even more and retain its form when you bake it. If you’re looking for a stunning dessert that will impress your guests during this festive season, these pavlovas will not disappoint. And if you want to store the meringues, simply place them in an airtight container in the freezer. Then take these sweet treats out whenever you’re ready to serve them. This delicate meringue shell with a gooey marshmallow center will intoxicate your taste buds. Preheat oven to 250°F, and adjust the rack to the middle position. Grind the coconut sugar in a food processor to a fine dust. In a small bowl, mix the sugar and arrowroot together. Set aside. Place the egg whites and salt in the bowl of a standing mixer. Using the whisk attachment, whip the egg whites on low until they start to foam. Add the vinegar and slowly increase the speed to high. Beat for 5-7 minutes, until soft glossy peaks have formed. With the mixer on medium speed, slowly add the sugar and arrowroot mixture—one tablespoon at a time. Once all of the sugar has been added, increase the speed back to the highest setting. Continue to whip until stiff, glossy peaks form and hold their shape. Fill a piping bag with meringue, and pipe it onto the lined baking sheet in small 3.5” circles. Try to make the edges a bit higher (like a birds nest). Turn off the oven, and allow the pavlova to completely cool before you take it out. Once cooled, top with coconut whipped cream and your favorite fruit. Tip: I suggest making several smaller meringues, instead of one big one. The smaller ones don’t collapse as easily. Zoe is a CrossFitter and wellness blogger from Brisbane, Australia. Her label Wildblend aims to inspire people to live an active, happy and healthy lifestyle, and to eat wild unpackaged natural foods to nourish their bodies and their souls. 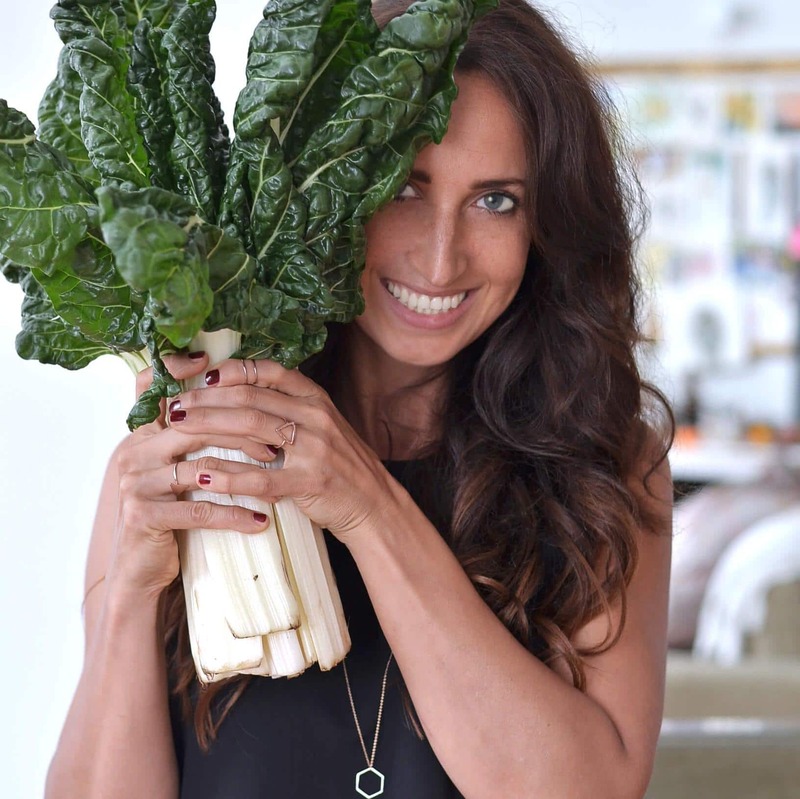 Her recipes are focused on fresh seasonal ingredients, and celebrating unprocessed, healthy whole foods. You can find more of her clean recipes on her blog Wildblend. For more posts by Zoe, click here.